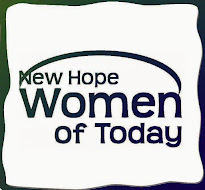 New Hope Women of Today: Highway & Park Clean Up! Adopt-A-Highway and Park is scheduled for Thursday, May 25th. We will meet in the parking lot of McDonalds in New Hope on 42nd and Winnetka on Thursday, May 25th at 6:00 PM. This is the only project that we are committed as a chapter to do twice a year and many hands make for light work!! If you have younger kids, you can still help! We will have you and the kids work in Civic Park, right next to New Hope City Hall. We will meet back up at McDonalds afterwards for a treat! For questions or to RSVP please contact Tawn H.